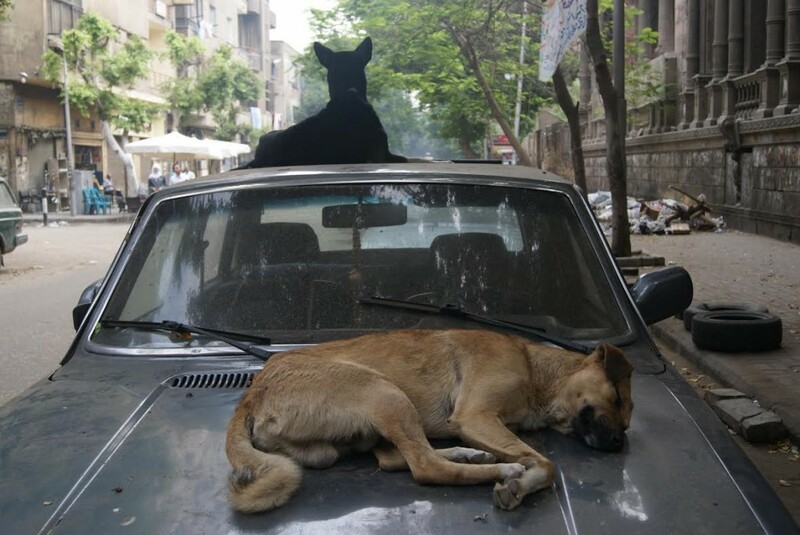 As a stray dog’s refuge from the scalding sun, an improvised clothes stand or a corroding, fossilized memento from the 1940’s, an abandoned old car lurks around every street corner in Cairo. 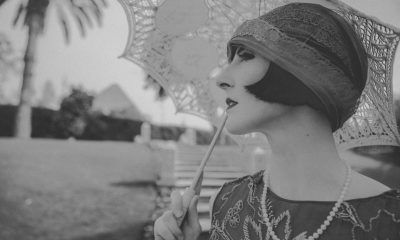 At first glance, the wrecks are infuriating obstacles for pedestrians and considerable sources of pollution. 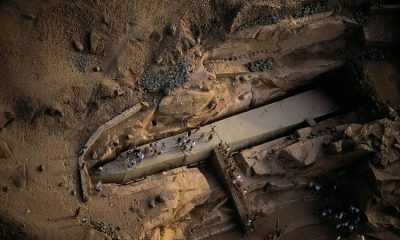 Through the baked layers of dust, a closer inspection reveals that these discarded vehicles are often a collector’s dream. 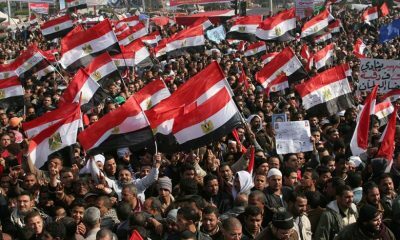 Perhaps most importantly, they reflect the intricacies of Cairo’s public spaces. A 1977 Mustang on Champillion Street. 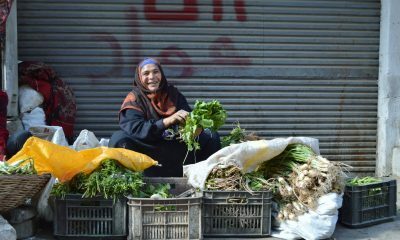 Before opening his restaurant in downtown Cairo’s Al-Takaeba, Ahmed frequented the ahua (coffee shop) outside his business. 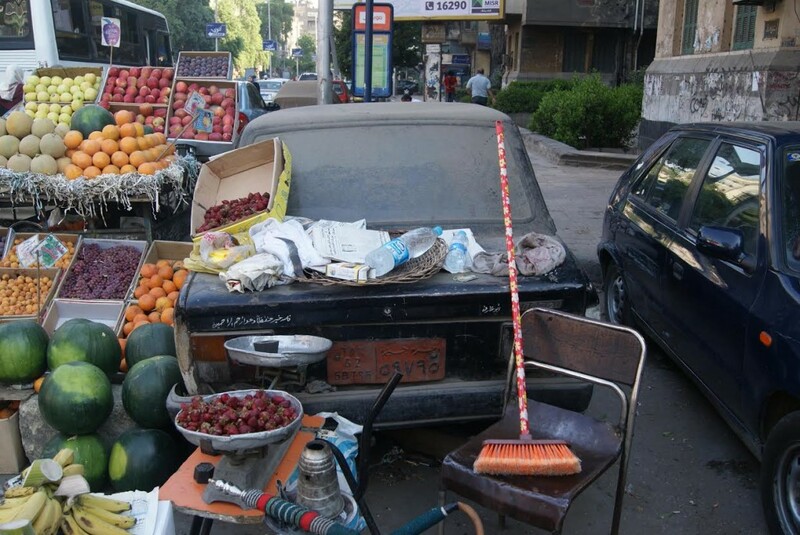 For almost a decade, the young restaurant owner has been staring at the same decaying car sitting amongst faded plastic chairs. 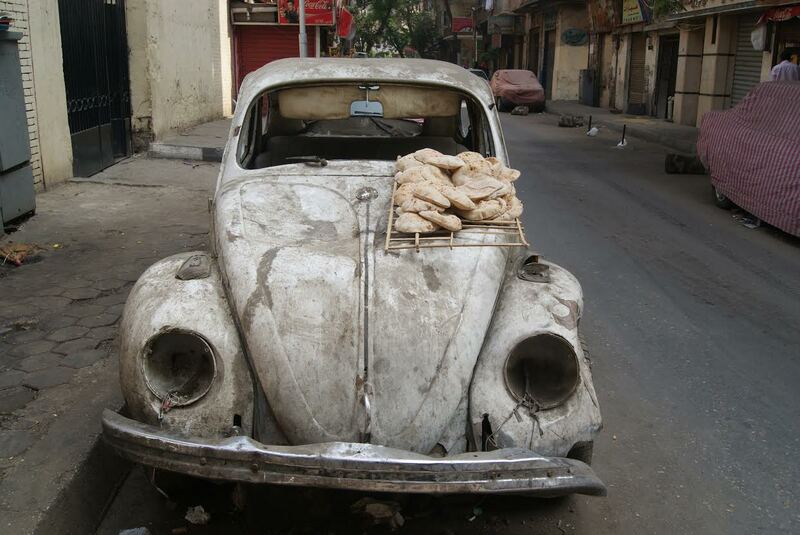 The baby blue car is used for storage and has been rotting on the street for nearly a decade, explains Ahmed. The unconventional storage unit probably belongs to one of the mechanics working in the area, and so far, there have not been any attempts to remove it. “People get used to almost anything,” says Ahmed, even if it impacts the view or affects business in the street. In Dokki, the governorate directly across from downtown Cairo, Khaled tends to his ahua (coffee) and stirs the burning “wella” for the shisha. 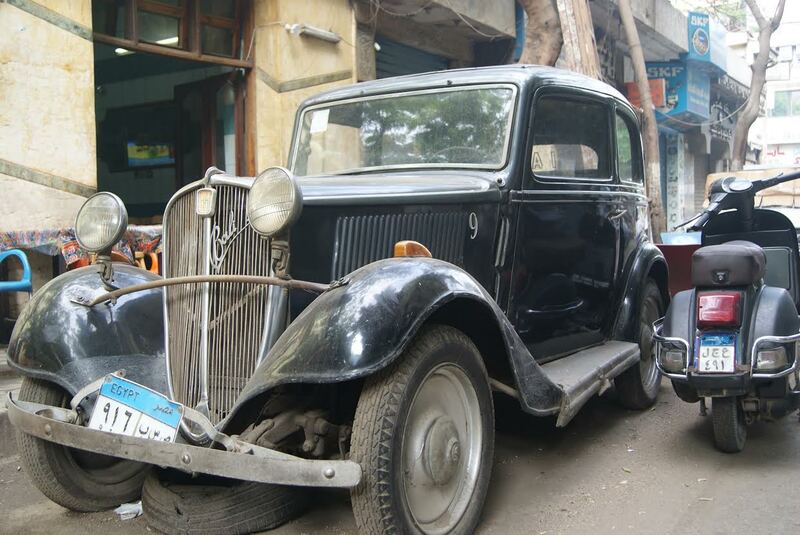 With its fair share of abandoned cars, Khaled believes the four-wheeled relics of Gaber el Hayyan Street belong to people now deceased, but are kept by their relatives as memorabilia. 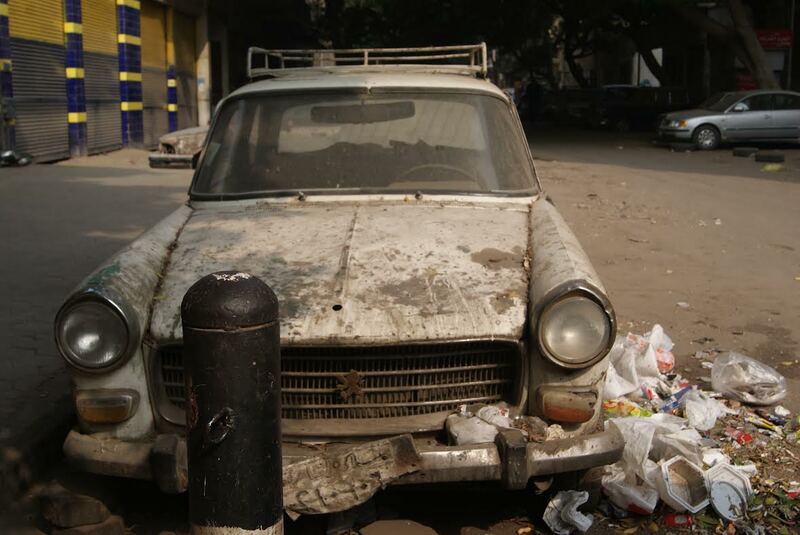 For Khaled and his neighbors in Gaber el-Hayyan, the abandoned cars are no different from the piles of trash in the streets. One day the government may try to purge the streets of the cars, but “that won´t happen anytime soon,” declares Khaled quite frankly. Just a block away from Abou Tarek, the famous three-story koshary restaurant in Champillion Street, Magdy leans suavely against a parked car. 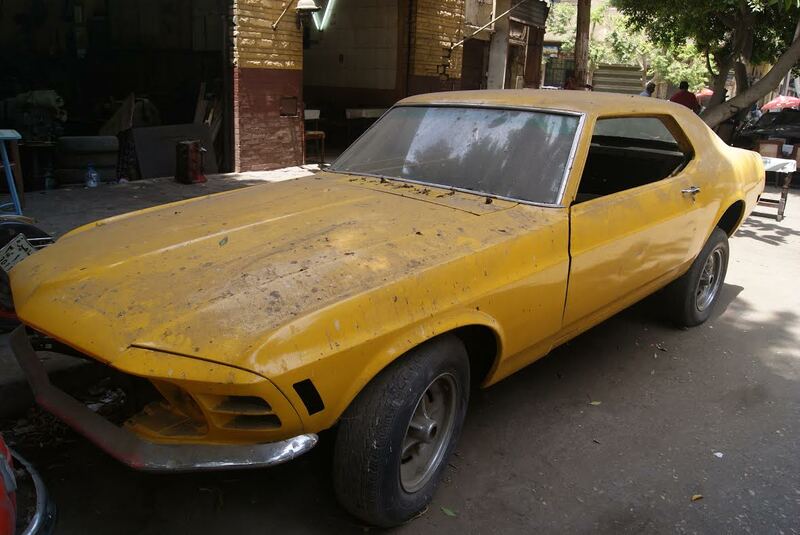 “Every car has value,” he says, adding that the main reason why cars are abandoned on the streets is that fixing them can cost up to EGP 15,000 when their actual price is only EGP 2,000. “People prefer to sell them to car mechanics who make good business from spare parts,” explains Magdy, asserting that it is a better alternative to spending lavish amounts of money. 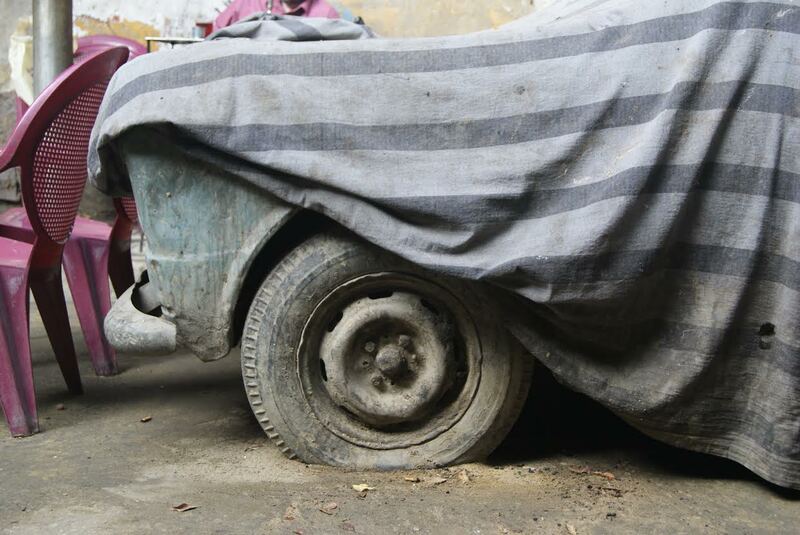 “After the revolution, people don’t have the money to buy new cars,” says Salah, a car mechanic who works near Magdy. 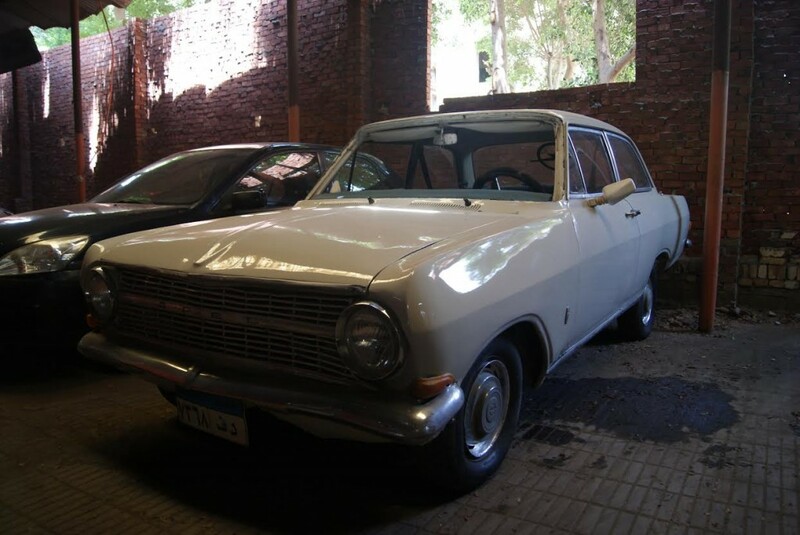 “Egyptians love old cars,” says Eslam, owner of a 1960´s Opel car that he inherited from his grandfather and is slowly repairing for both sentimental and economic reasons. Unlike most cars in the area though, his is safe inside a garage. Eslam’s Opel, inherited from his grandfather. 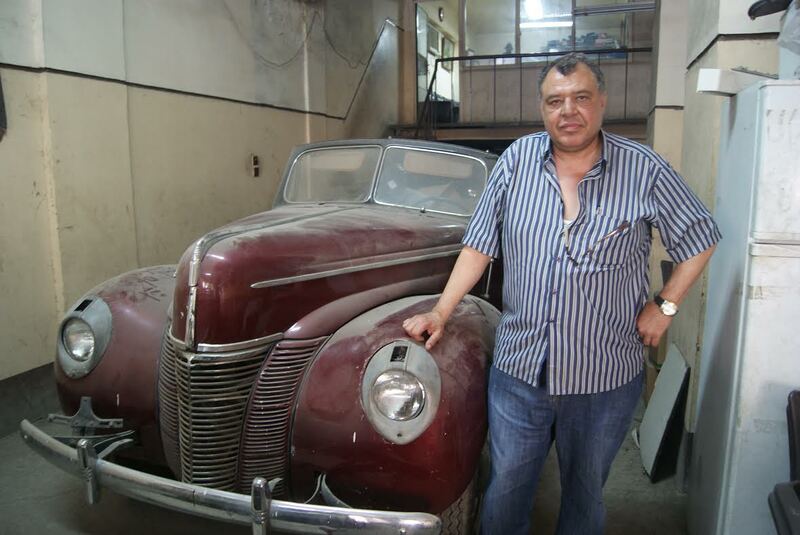 “This car is worth 100,000 L.E…Old cars are strong,” he says proudly, noting that some mechanics specialize in fixing old cars. 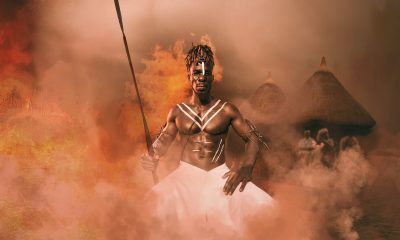 As a matter of fact, Cairo’s frightening traffic jams and the overcrowding of the streets is more than just a daily subject for small-talk. 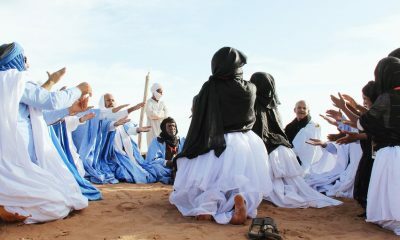 It is as intrinsically tied to Egyptian life and culture as foul and ta’ameya are.